The start-line was moved from Farm straight to the current location for the 1952 Grand Prix and the layout remained largely unaltered for the next 35 years. The circuit continued to host grand prix events but shared hosting duties with Brands Hatch and Aintree up to 1986. As the speeds of the cars began to rise, a chicane was introduced in order to slow the competitors through Woodcote corner, Bridge was also subtly altered in 1987, also for safety reasons. Following the death of Senna at Imola in 1994, many F1 tracks were modified in a bid to drastically reduced speeds and increase safety. 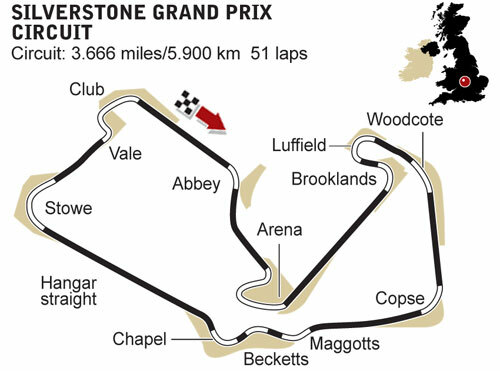 For Silverstone this meant modification to Stowe corner and the flat-out Abbey kink converted to a chicane.